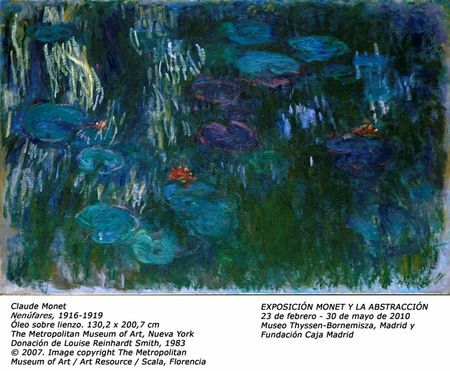 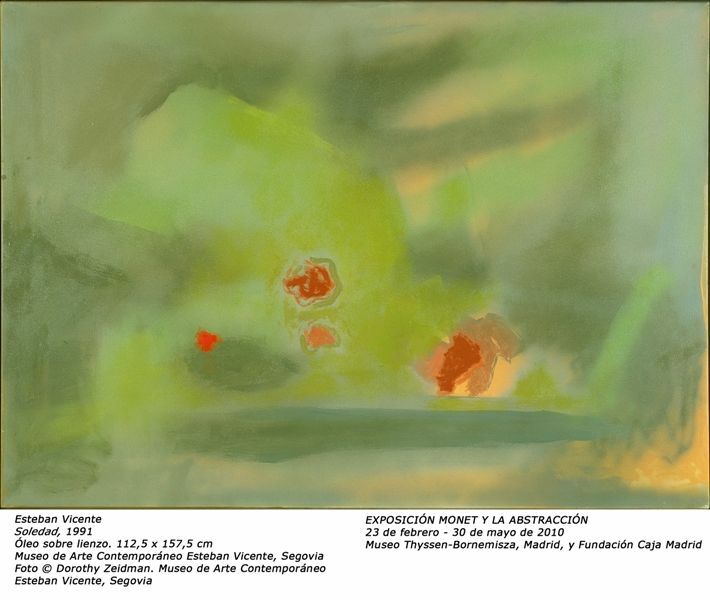 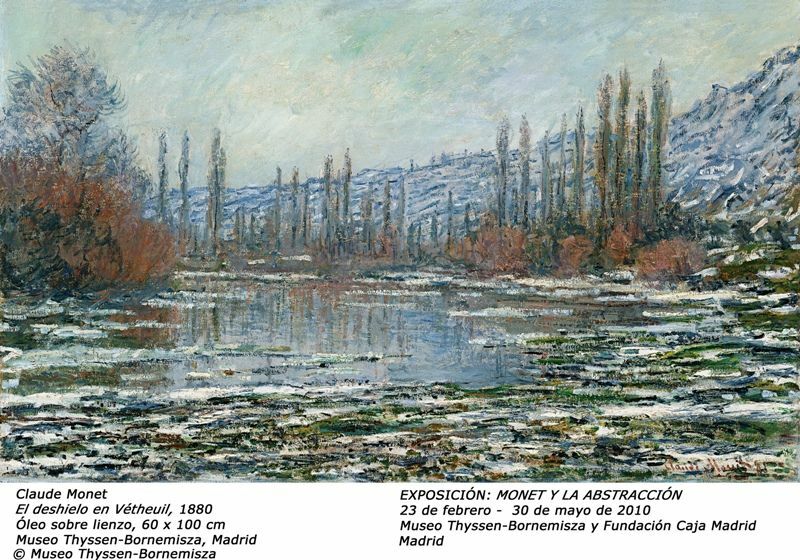 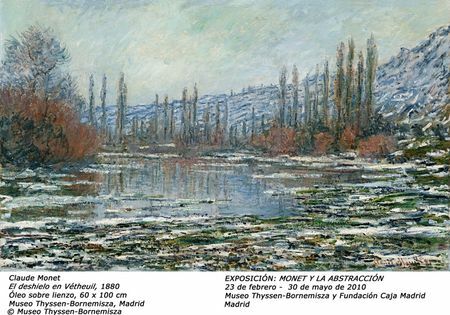 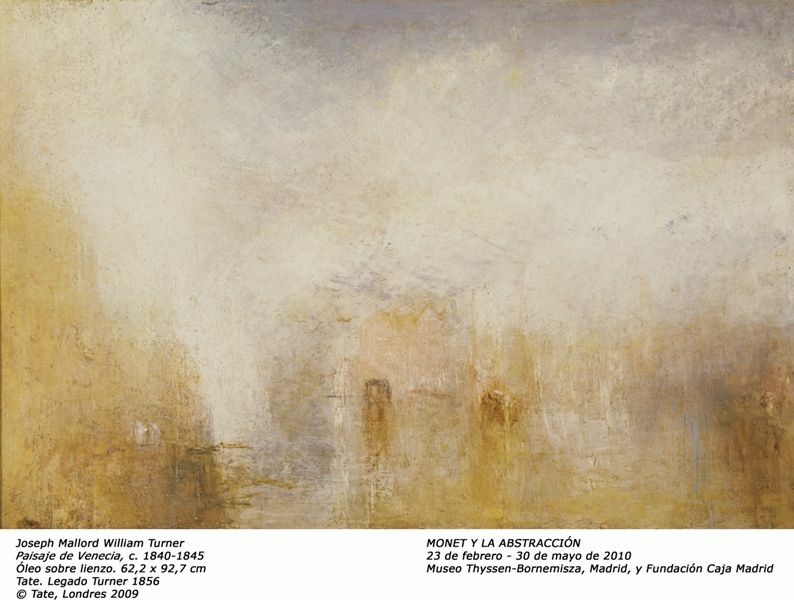 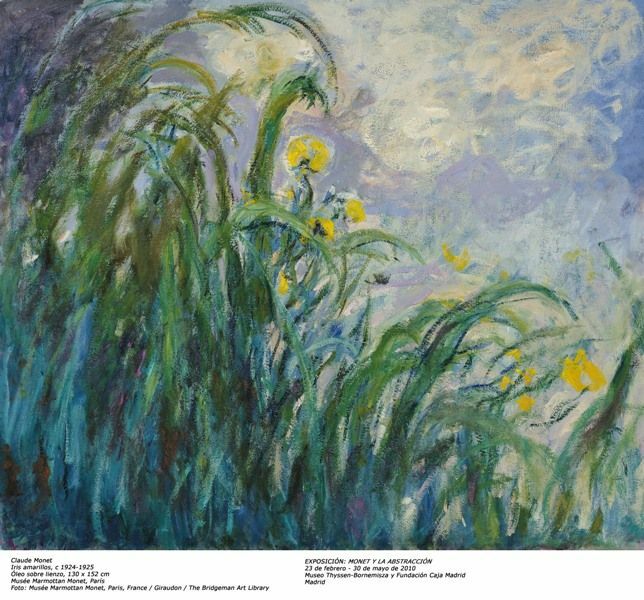 This coming February, the Museo Thyssen-Bornemisza and Fundación Caja Madrid are presenting the exhibition Monet and Abstraction. 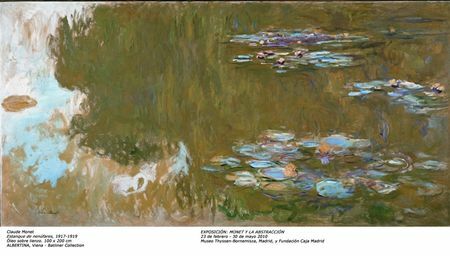 It offers a survey of the work of the great French Impressionist painter from an innovative perspective and one never previously employed in the context of a temporary exhibition of this scale and importance, namely the artist's relationship with the development of abstraction in the second half of the 20th century. 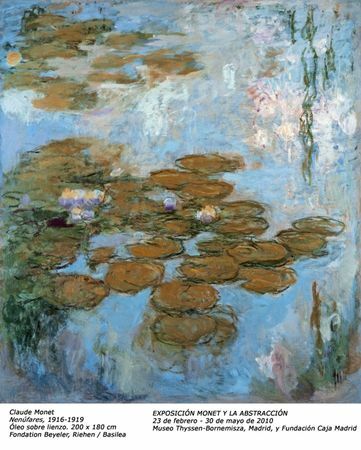 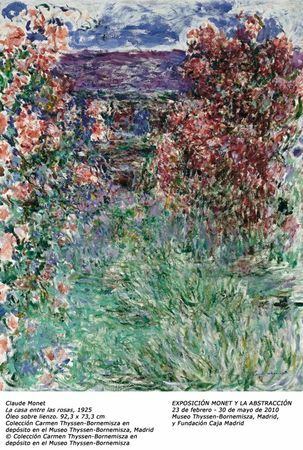 From his ethereal London landscapes to the monumental depictions of his garden at Giverny where he spent the last forty years of his life, the exhibition looks at how Claude Monet's permanent obsession with capturing the instantaneous led him to break down pictorial representation to the point of reaching the threshold of abstraction. 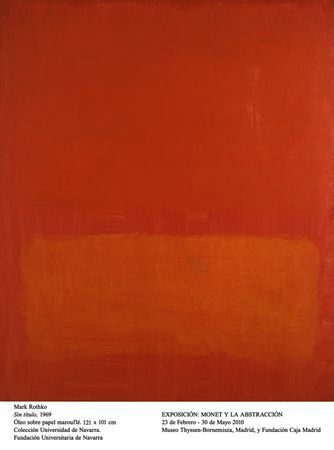 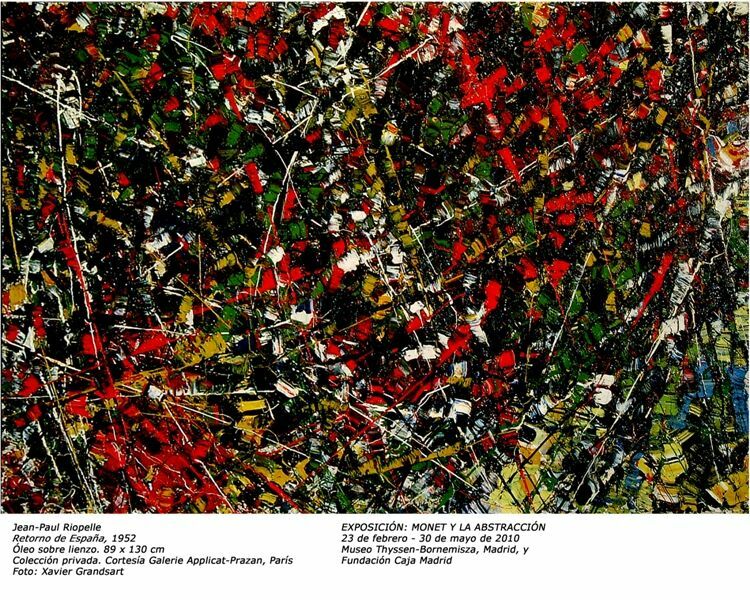 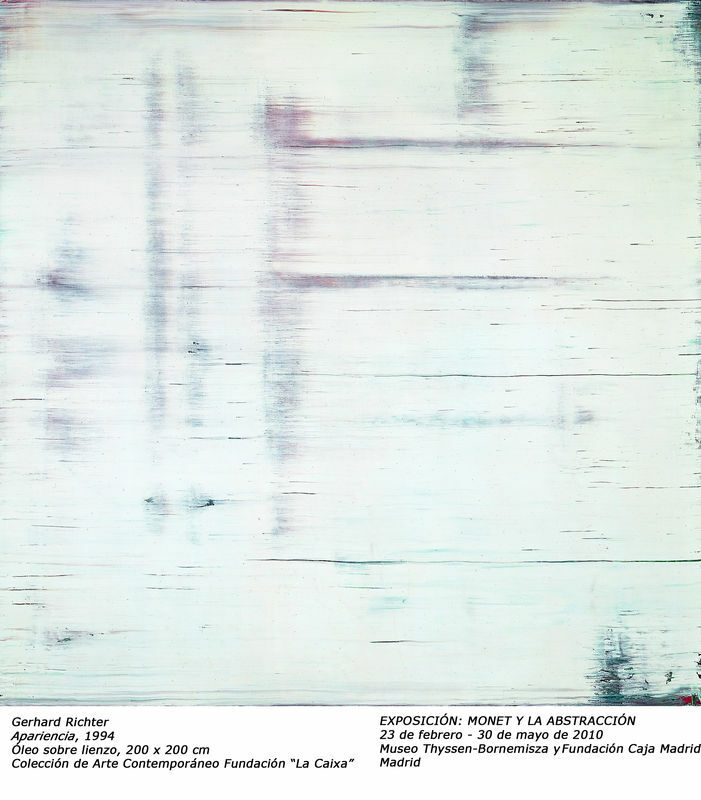 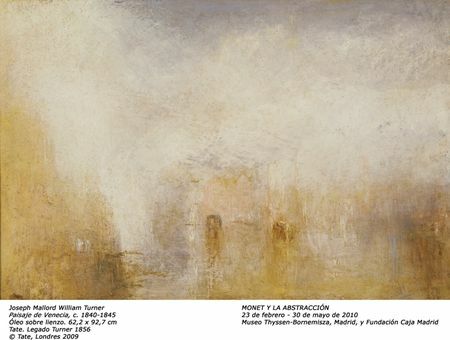 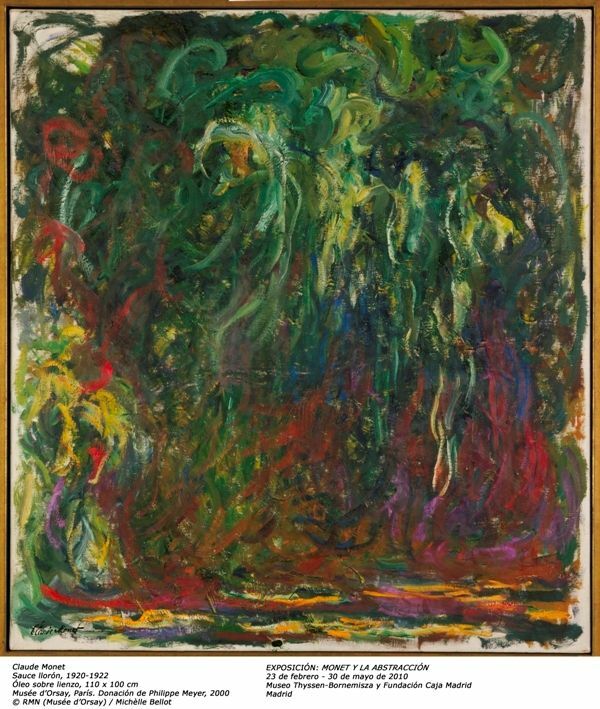 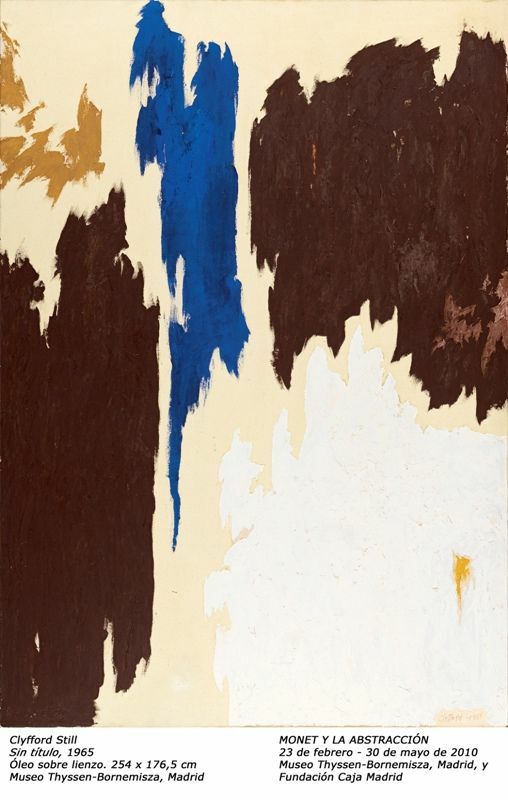 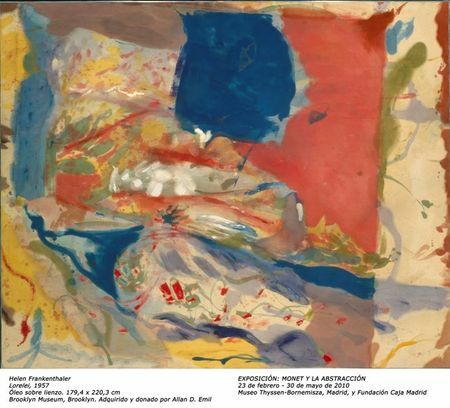 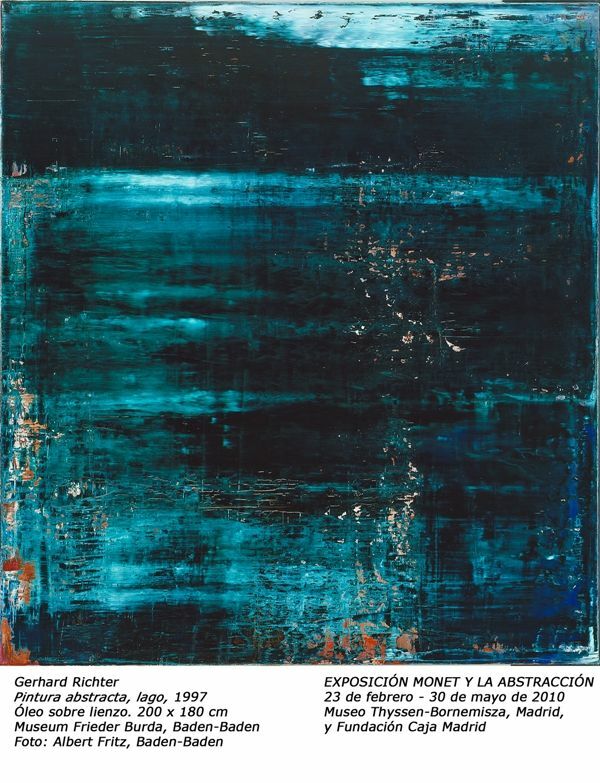 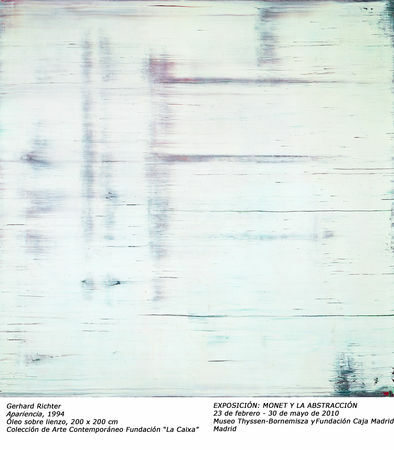 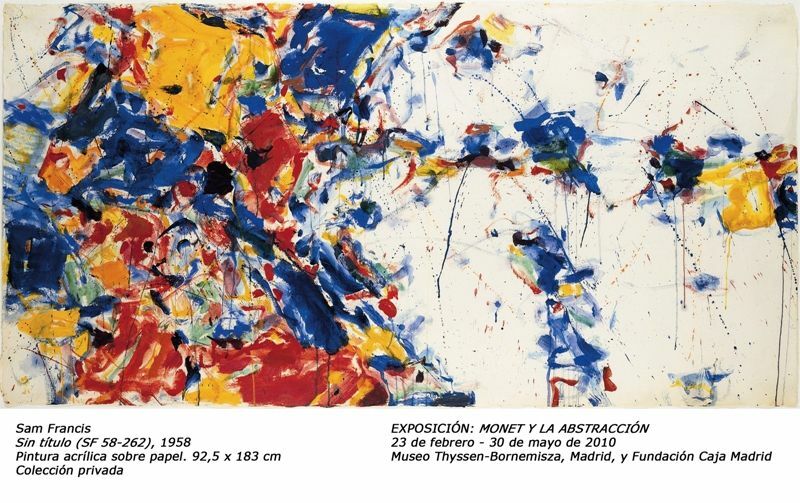 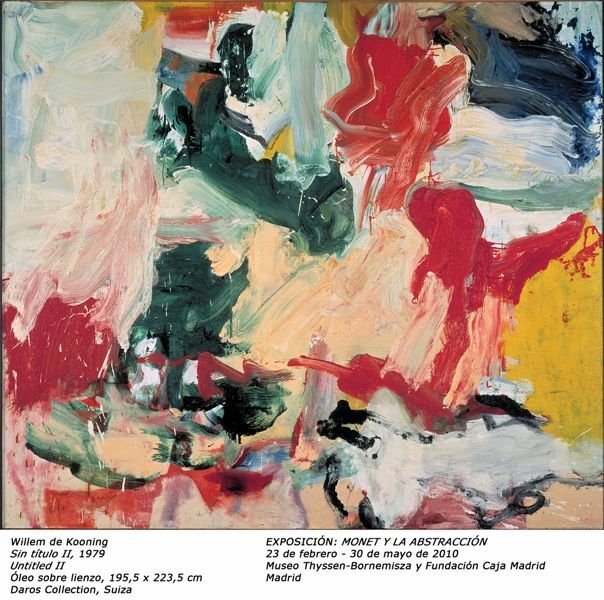 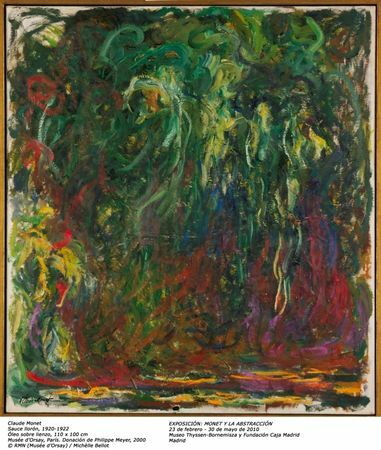 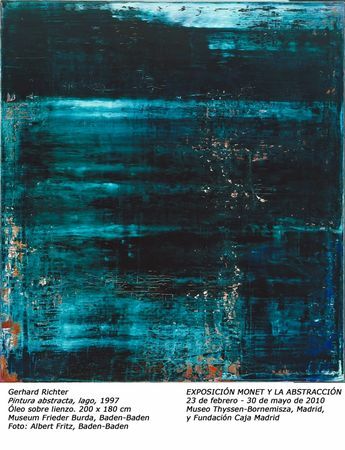 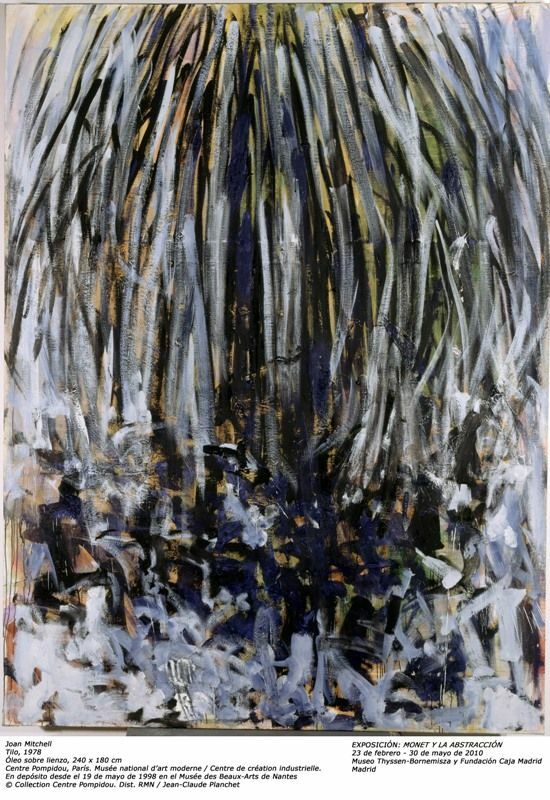 It also analyses how, around the middle of the 20th century, the young generation of European and American abstract artists rediscovered his art and elevated the figure of Monet to the status of undisputed prophet of the material-based trends within abstraction. Monet thus came to occupy the fundamental role within the history of art that he still maintains today. 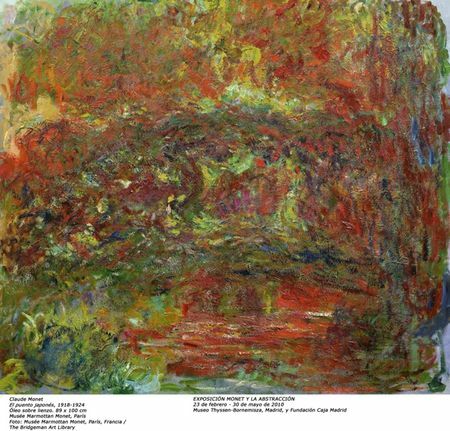 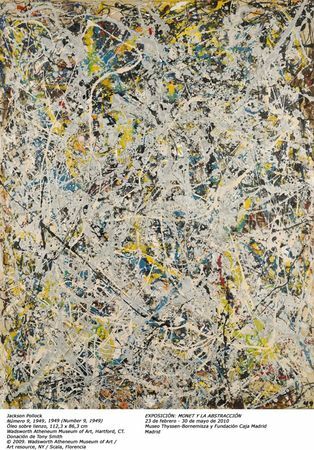 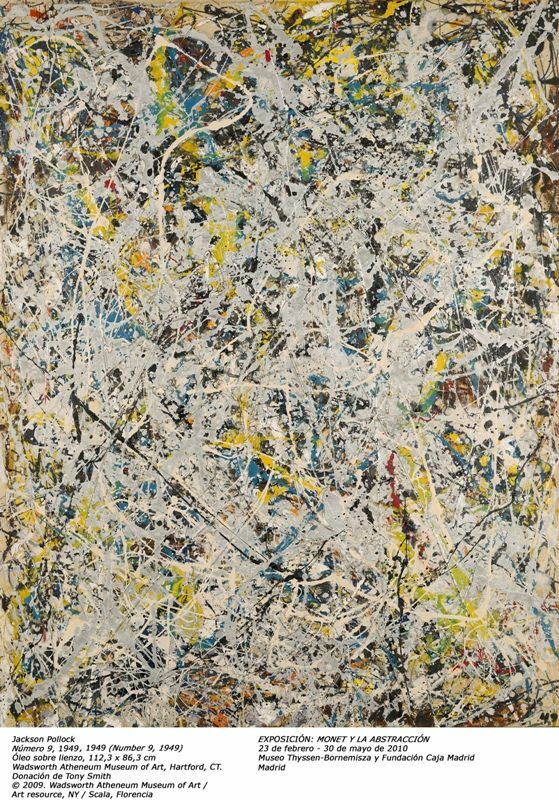 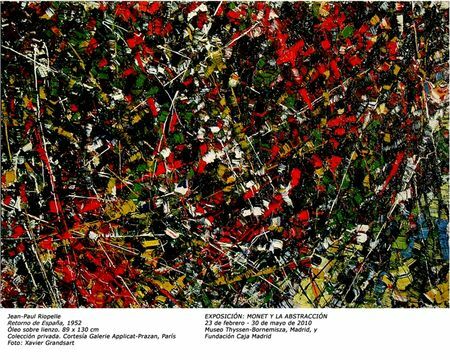 Jackson Pollock, Mark Rothko, Willem de Kooning, Sam Francis, Joan Mitchell, Adolph Gottlieb, André Masson, Philip Guston and Gerhard Richter were among the young artists who turned back to Monet. 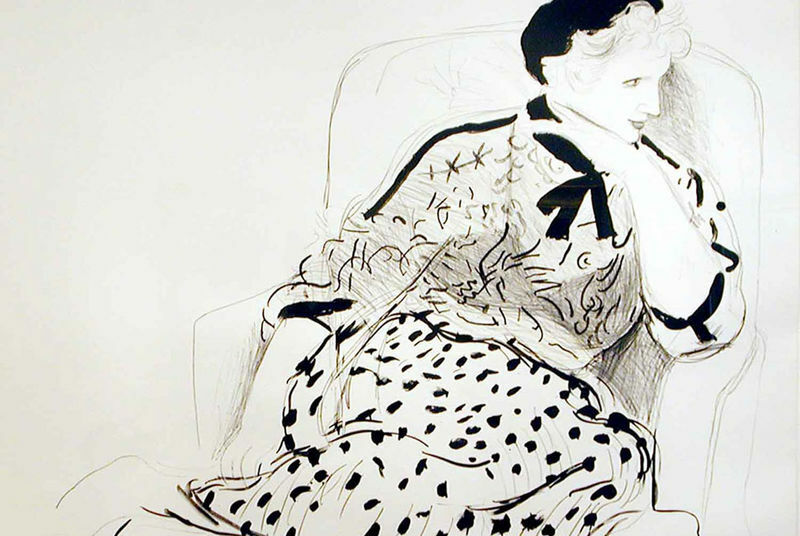 The present exhibition now offers the chance to see their work in the context of a fascinating dialogue with that of the Impressionist master, revealing numerous connections. Exhibiting Monet's painting in this new way allows for an analysis of the important influence that he exerted on the development of certain aspects of abstraction in the second half of the 20th century and hence his key role in the development of modern art. More than 100 works have been assembled for this new project, jointly organised by the Museo Thyssen-Bornemisza and Fundación Caja Madrid. 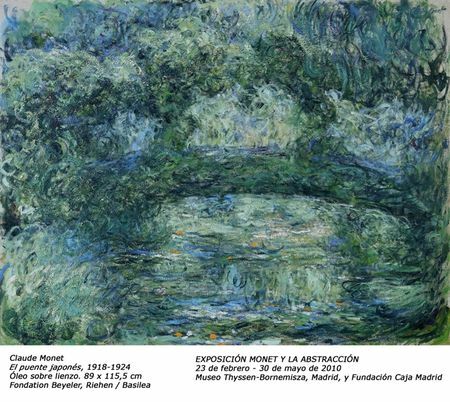 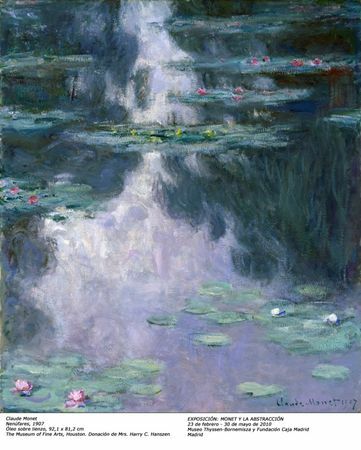 It has benefited from the fundamental collaboration of the Musée Marmottan Monet in Paris, where the exhibition will be seen in the summer of 2010 after its Madrid showing. 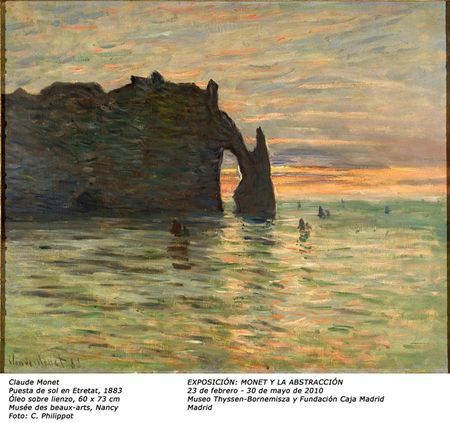 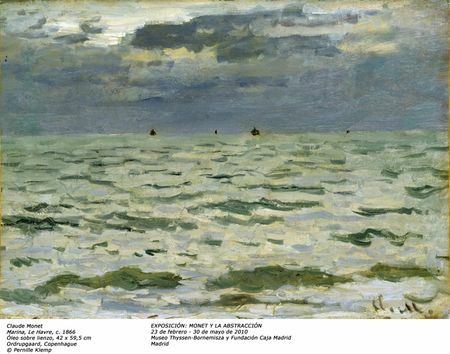 The French museum has lent a magnificent group of works from the major legacy of works by Monet that it houses. Also important are the numerous loans from museums and private collections around the world, particularly Europe and the USA. 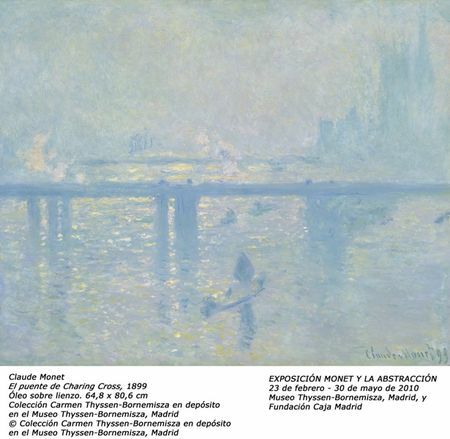 Je fais un peu dans le culturel : ce musée est l'un de mes préférés au monde. 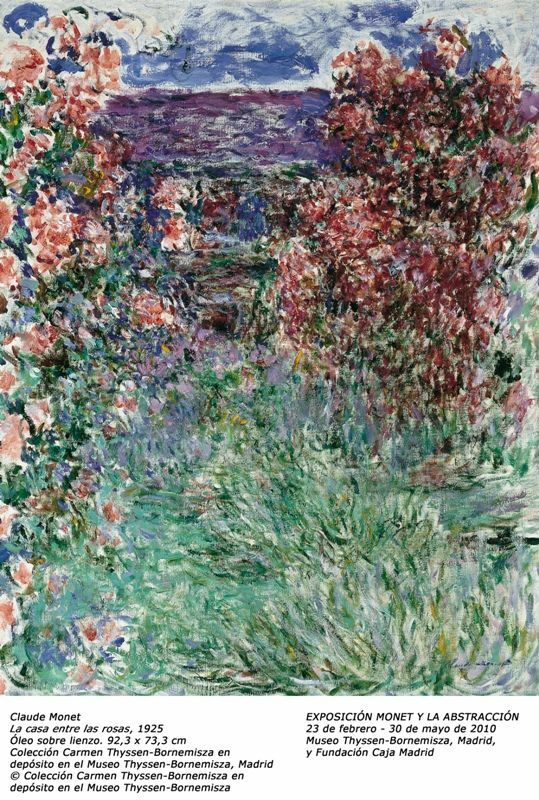 Magnifique et j'ai toujours bonheur à m'y rendre.